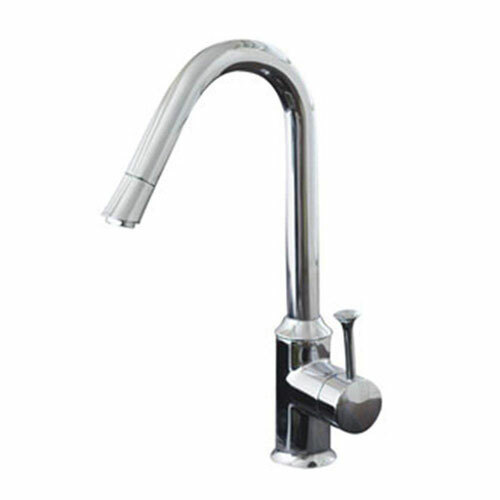 The American Standard Pekoe Single-Handle Kitchen Faucet in Polished Chrome is an ideal faucet for your kitchen with its memory position valve that makes it possible to pre-set the water temperature setting without having to readjust the handle each time. The high-arc swivel spout allows for greater accessibility to the sink for easier cleaning, as well as for filling large pots or even vases. The single-control lever handle meets ADA requirements for universal use. Item Boxed Weight: 5.95 lbs.